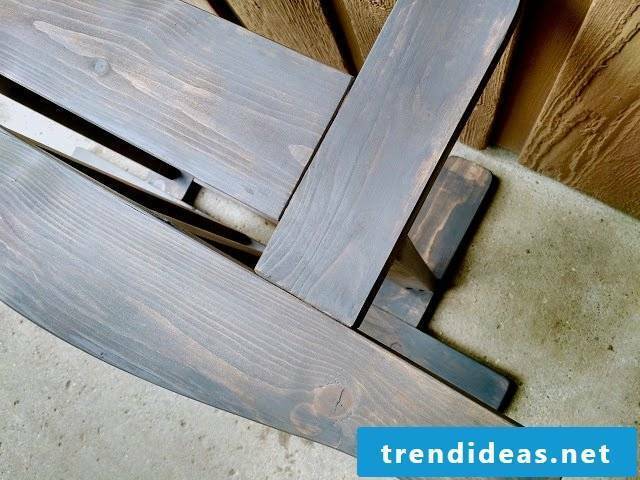 You need inspiration and original ideas for the baby room? Since the Babzyimmereinrichtung is hardly an easy task. What should be chosen when a variety of very different variants and pieces of furniture is available? So many details come into question: from the wall design, over the floor covering, to the lighting. 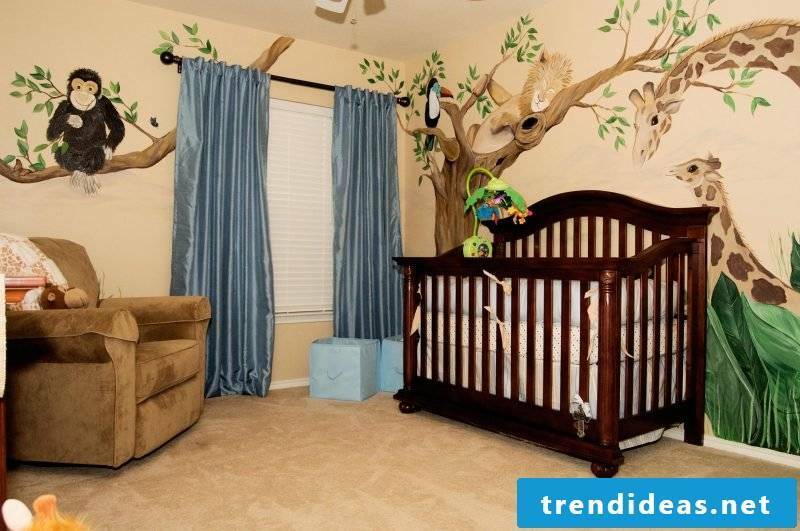 Fantastic wall design with wallpaper and fabrics in the baby room provides comfort and friendly environment, as well as an atmospheric atmosphere. 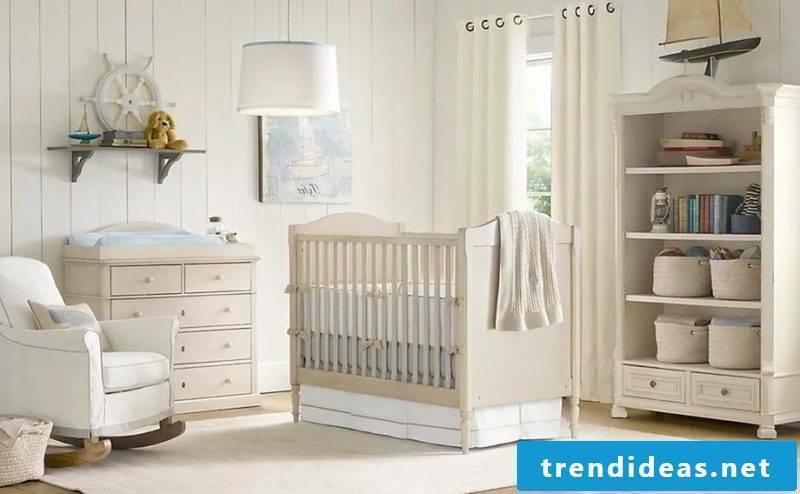 But of course, the decoration in the baby room, which should not only look beautiful and inviting, but also stimulates the senses of your baby. 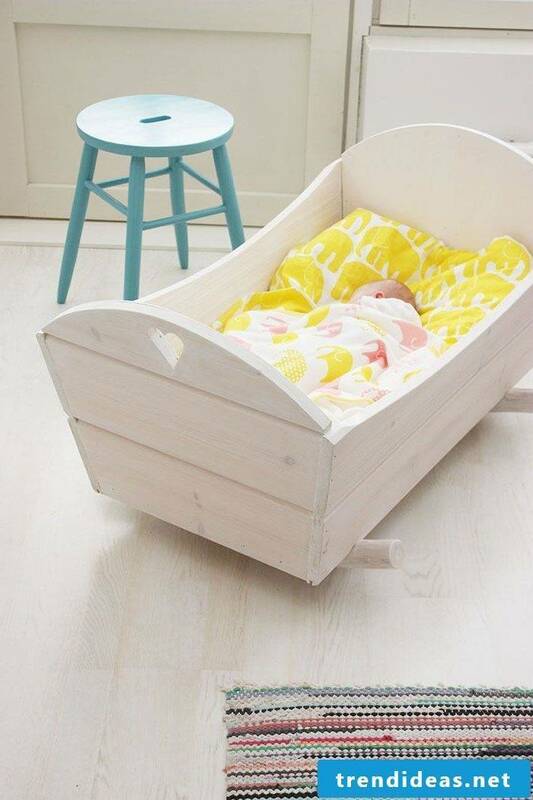 In addition to carpets and blankets, lamps, changing tables, chests of drawers and cupboards, you should definitely think about a comfortable cot or a nice baby cradle. 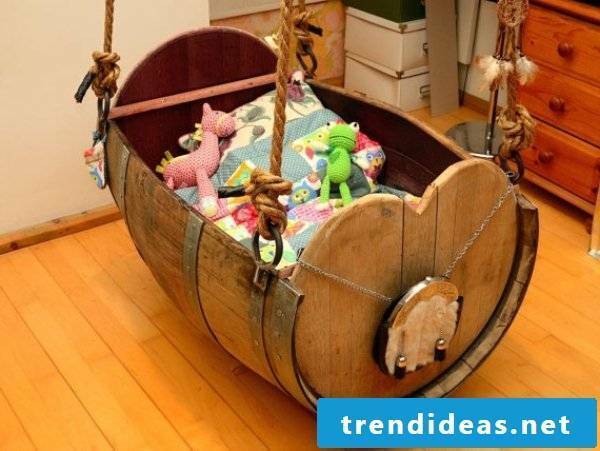 Since there is hardly a baby room without a bed, right? 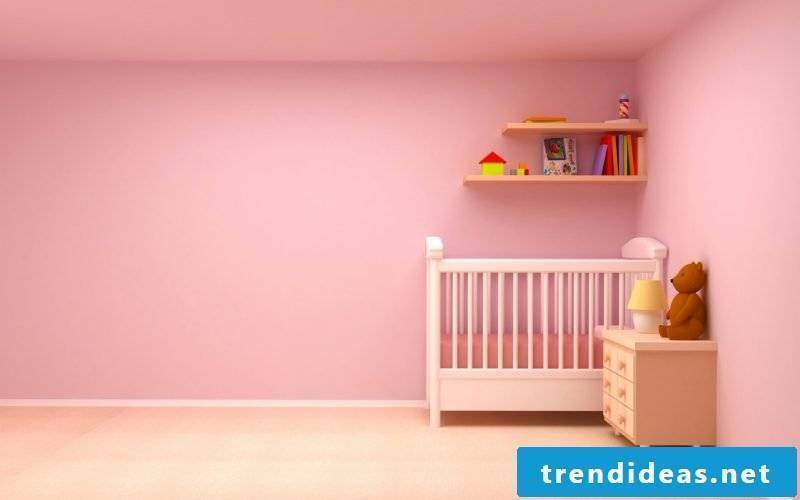 When it comes to baby room design, the following rule applies: Baby room should radiate security and security! 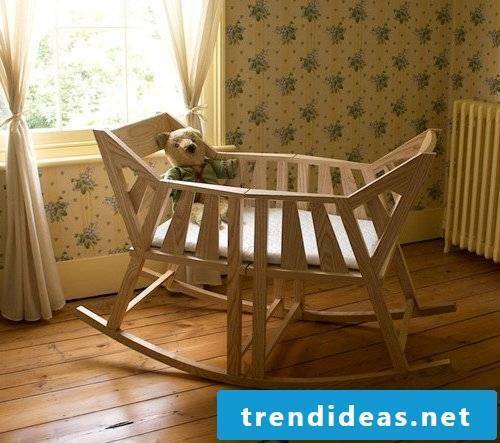 To enrich your world of ideas, we present you some great suggestions for the perfect furniture in the baby room. 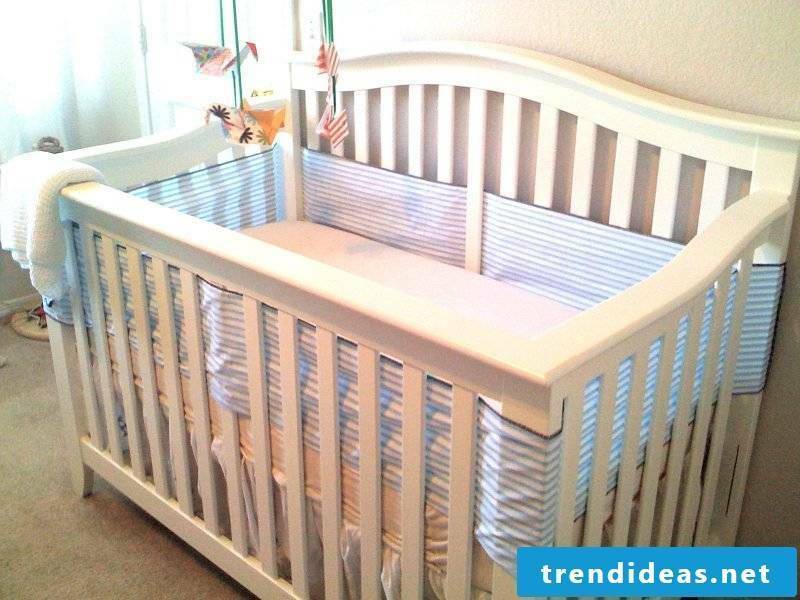 In this article, you will find an easy guide for self-built baby cradle, so you create a unique ambience. 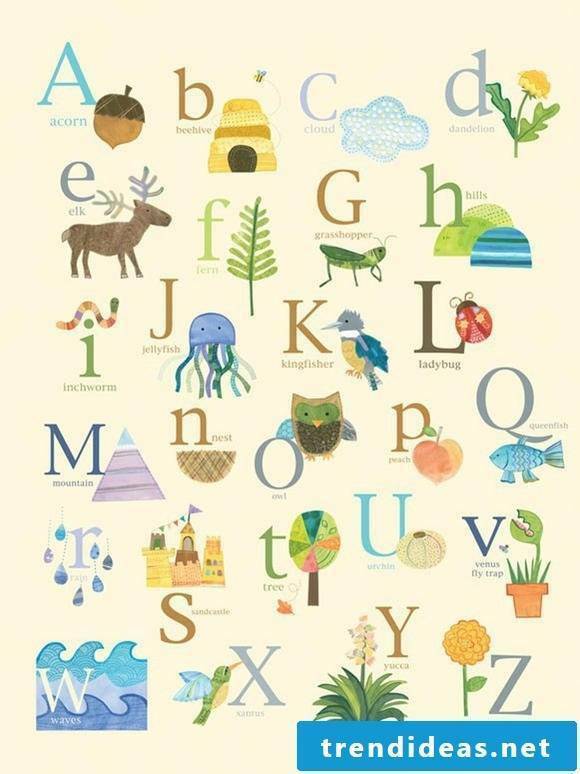 How do you want to design the baby room? 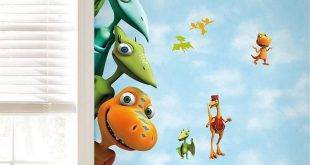 Take a look at our ideas and choose the best for your baby! 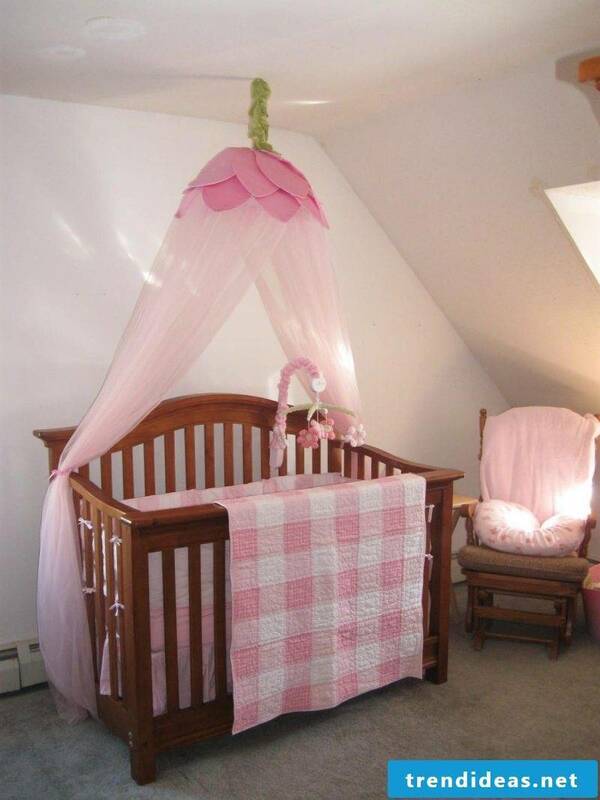 Creating baby rooms: security and safety for your baby! 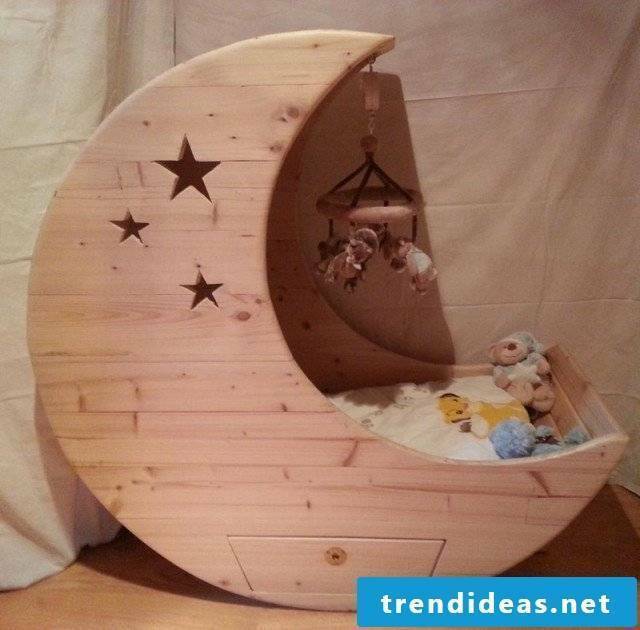 For your baby to enjoy the nights comfortably, it needs the right bed. 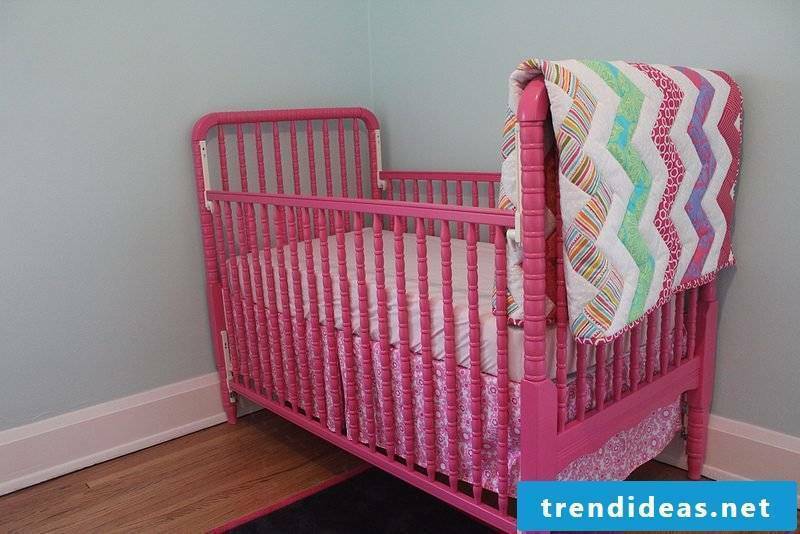 Baby cribs and cots are available in all shapes and designs on the market, but usually cost too much. 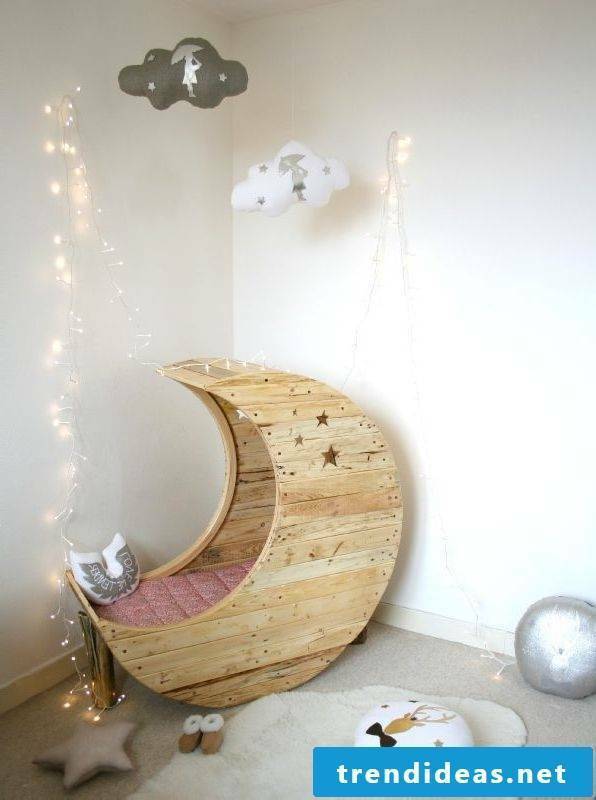 If you want to customize the baby room, then opt for the do-it-yourself variant! Because warmth and coziness is not always expensive. 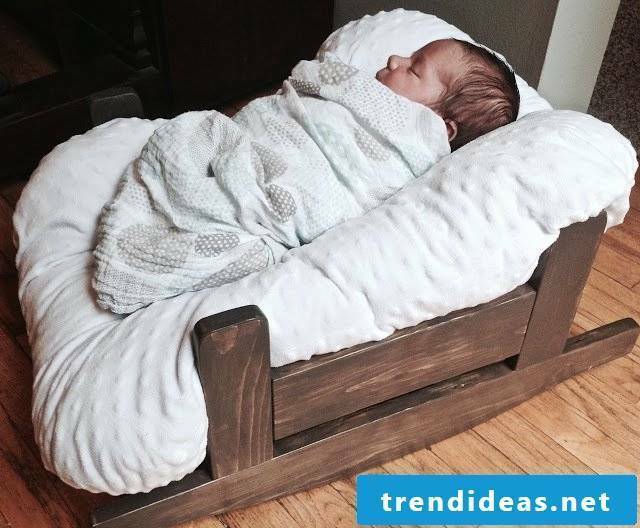 Save money by building a beautiful and comfortable cradle yourself. 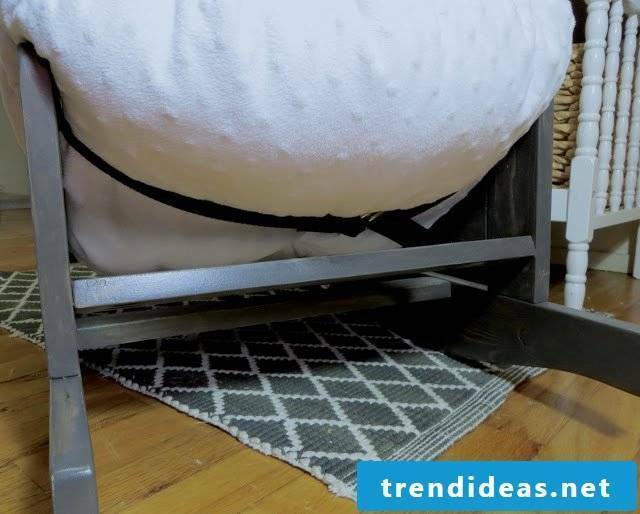 Despite all the trends baby buggies are hotter than ever, so they are becoming popular with more and more parents. 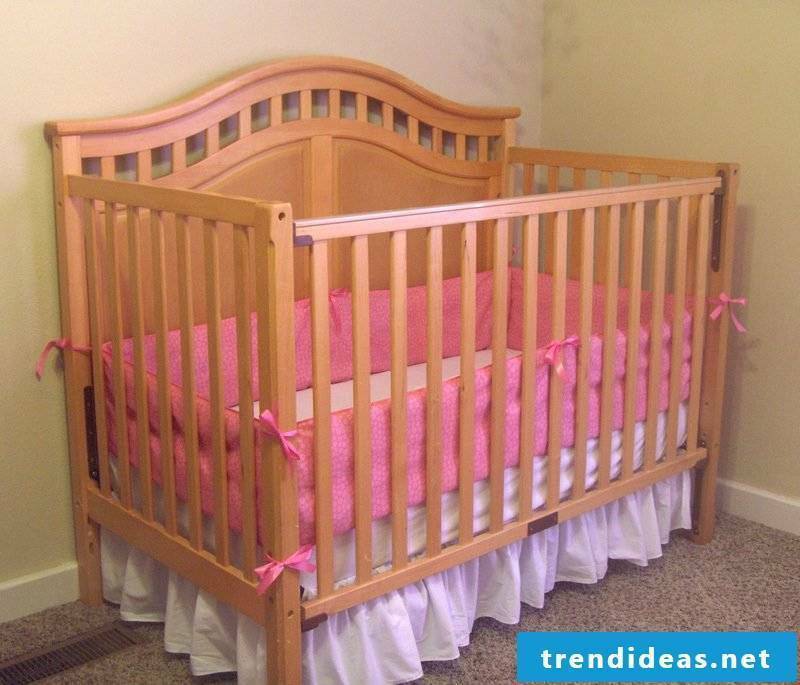 They not only look pretty, they also provide a peaceful and relaxed sleep for your baby. 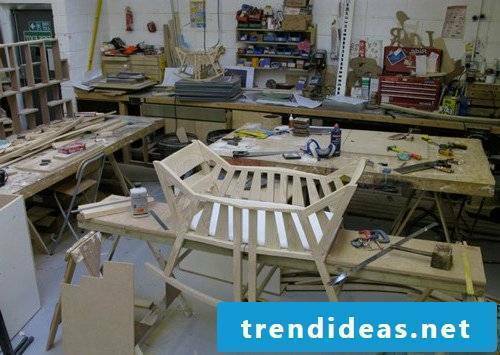 Homebuilding in your own home is in vogue With a little skill and the right materials and tools, as well as with the help of our easy guide to build the new bed in just a few steps. 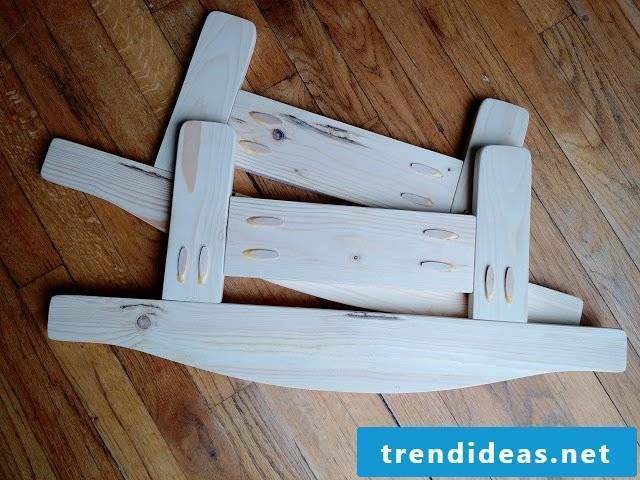 DIY baby cradle for the peaceful and relaxed sleep of your baby! 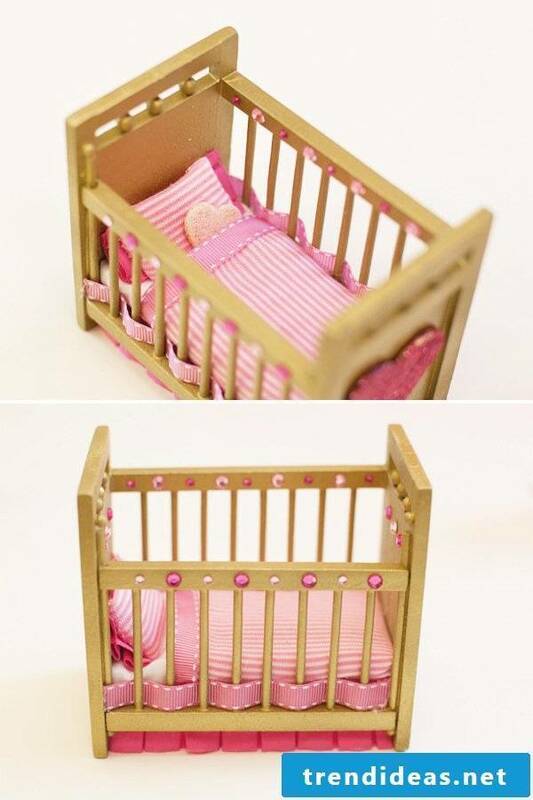 How to make a pretty baby cradle yourself? 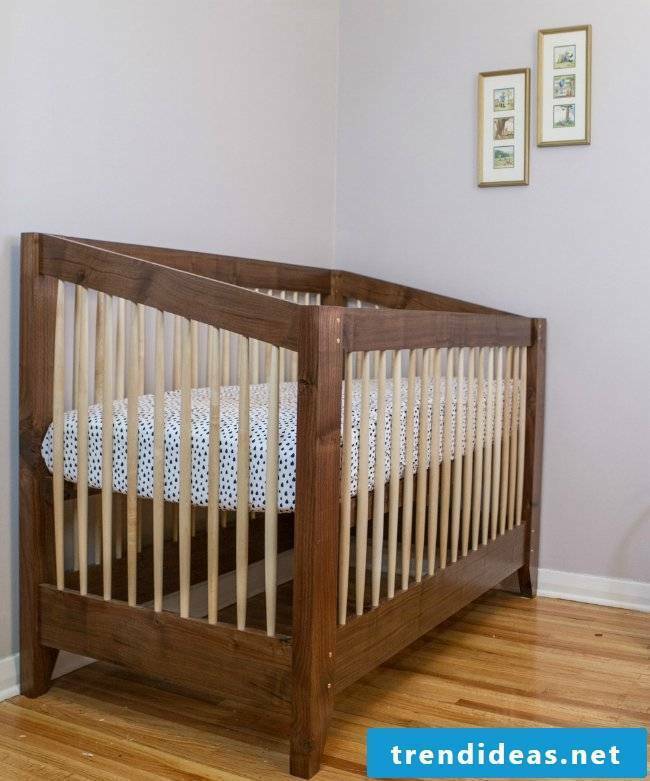 First, build the cot! Base plate with 1 cm deep holes provided with a distance of 5 cm! Then drill holes on the lower edges of the head and foot part, as well as the lower side parts! 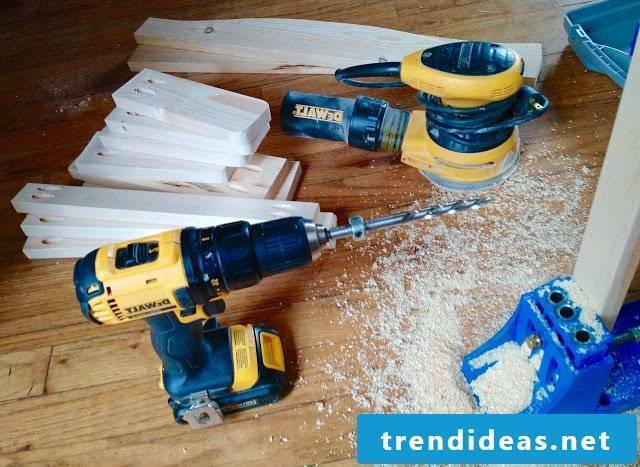 Make holes at a distance of 4 cm in the lower side parts for the round rods! Then place holes in the side edges of the head and foot sections for connection with the side panels! Foot and headboard provided with two holes (for later suspension)! Mount rope clamps on the inside! 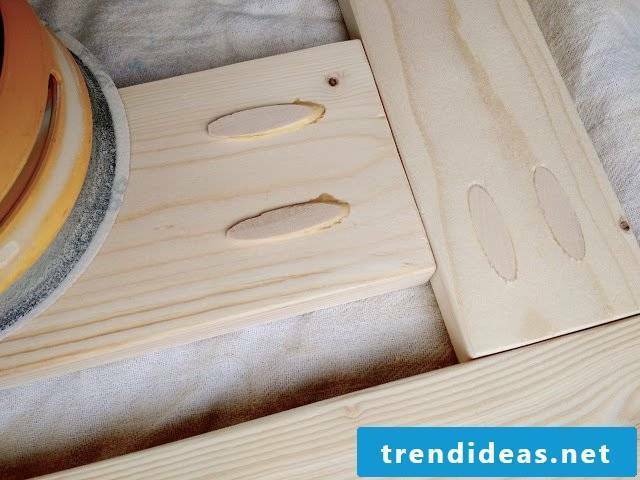 Then add wood glue into the dowel holes and hammer in wooden dowels! Connect the head and foot sections to the other side panels! 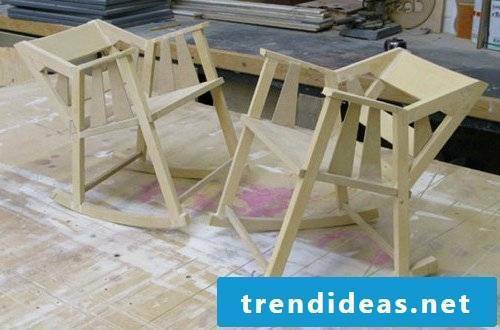 Put this construction together with the base plate! 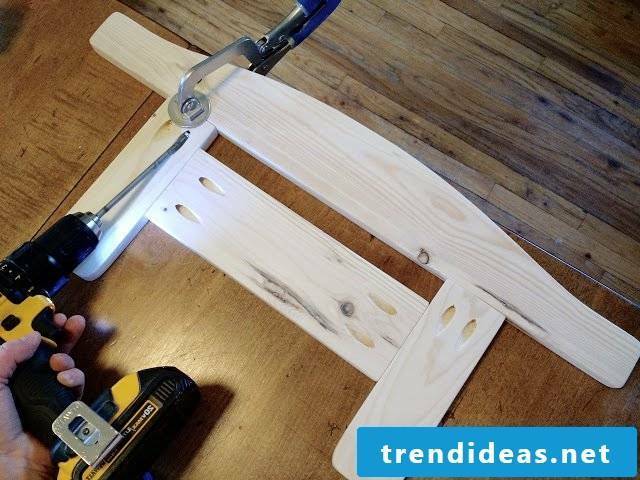 Glue in round rods and insert the upper side parts! 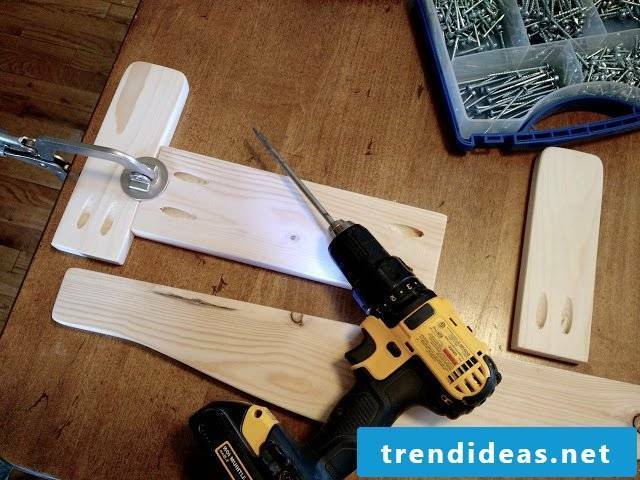 Fix the body with the help of screw clamps! Make suspension! 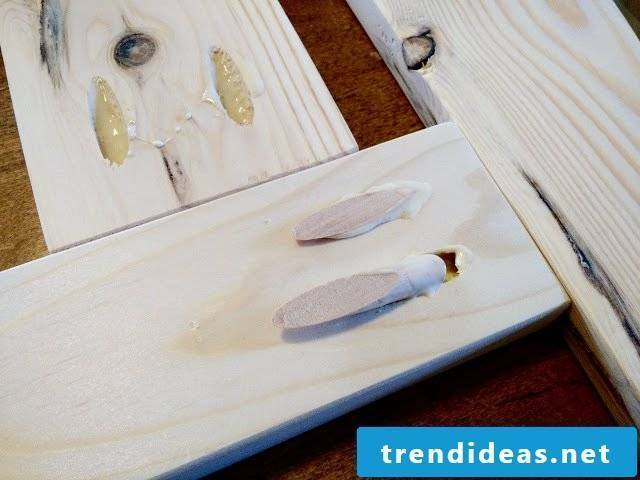 Saw four circles out of the 1 cm thick wooden plate and provide with 4 dowel holes! Cut an inner circle out of 2 of the circles! Then connect a circle with no inner circle and one with inner circle with long dowels! Make sure that there is a 2 cm gap. Slide the round tube and thread ropes through it! 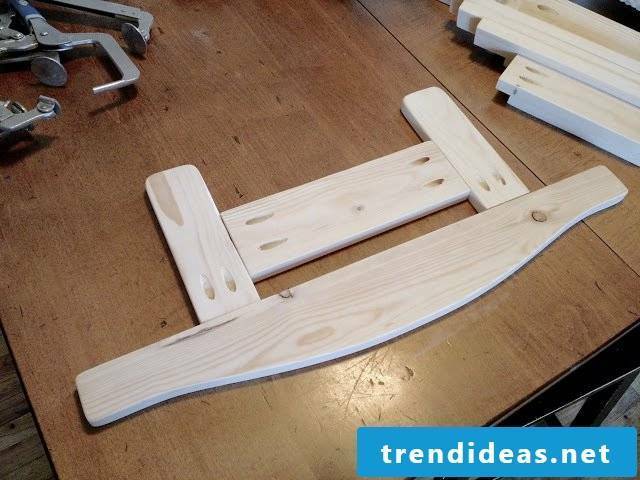 Attach the rope that has run down to the cable clamps on the insides of the head and foot sections! 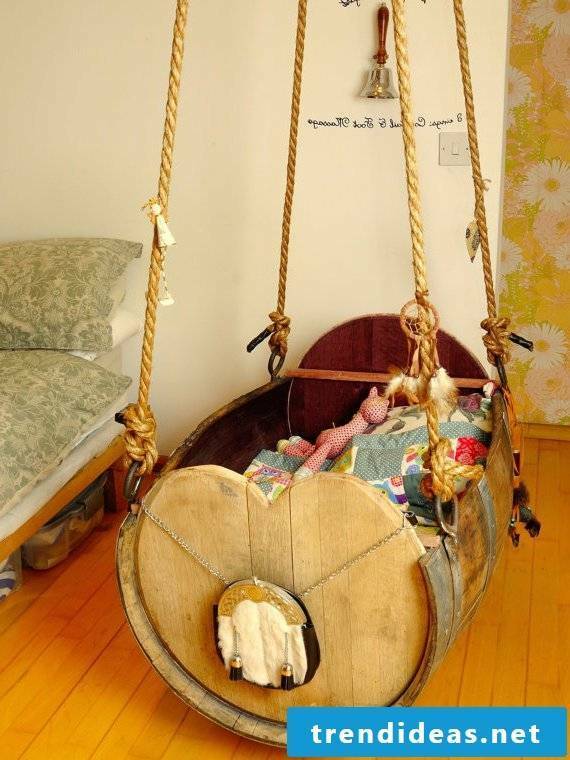 Make sure that the blanket can hold the weight of the cradle and the baby. 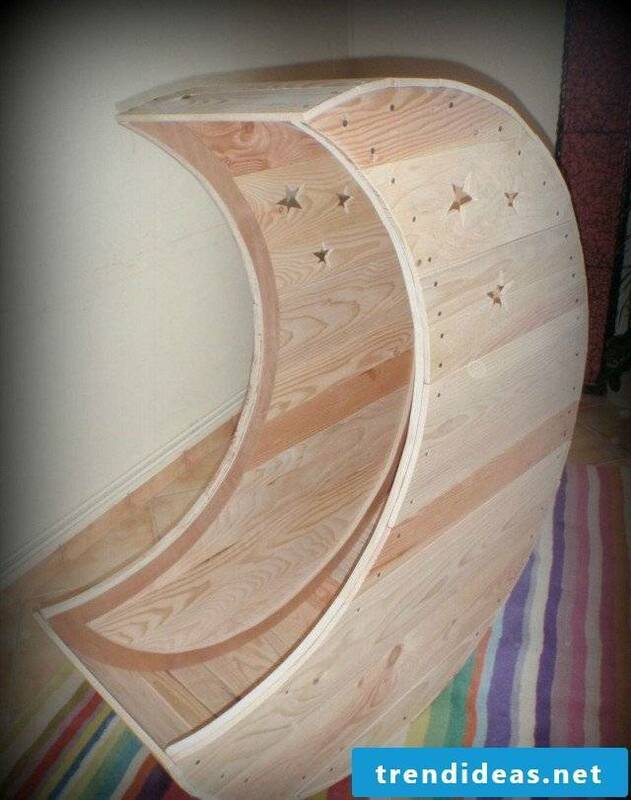 Your new self-built cradle is ready, and it looks like it costs too much, right? 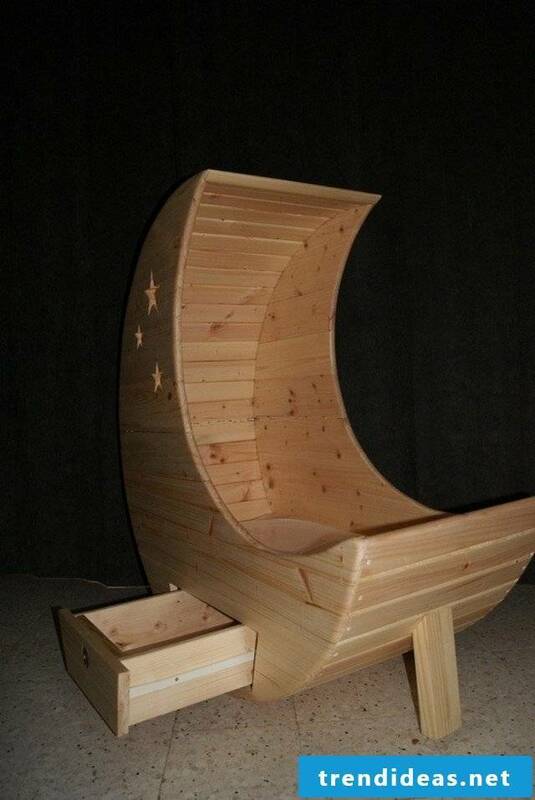 Build baby cradle yourself: that’s how it works! 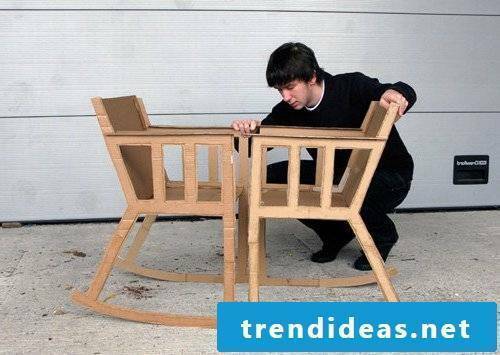 If desired, you can make a unique cradle from two simple wooden chairs. In about 10 minutes, the cradle is already in front of you. 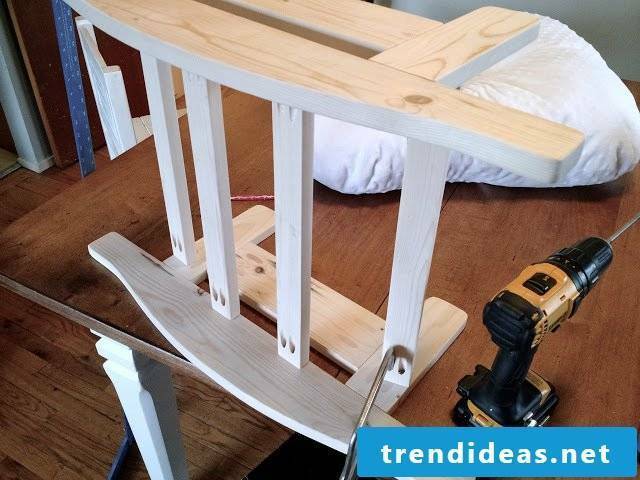 Build baby cradle from old chairs yourself! Do you find traditional baby weighing too boring? 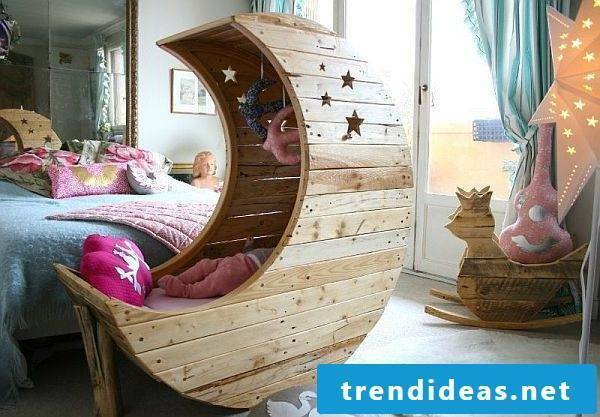 Then welcome our next suggestion for sure: Baby cradle in the shape of the moon! Simply original. Do not you mean it? 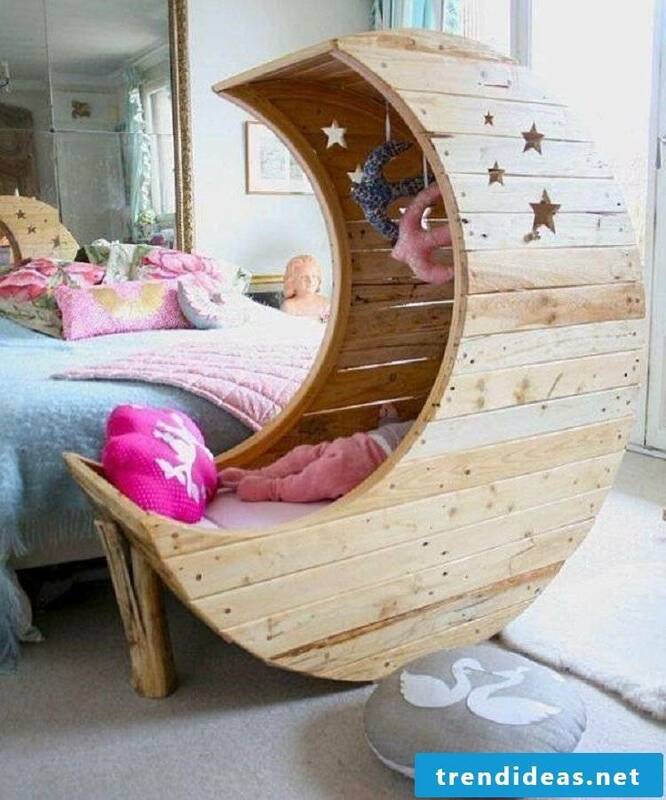 Creative design of baby rooms! 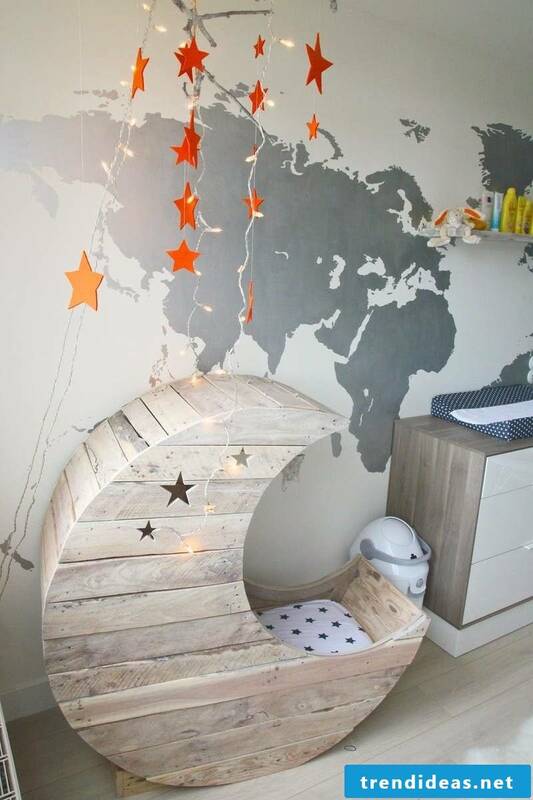 You can discover even more creative ideas for the baby room in the following gallery! 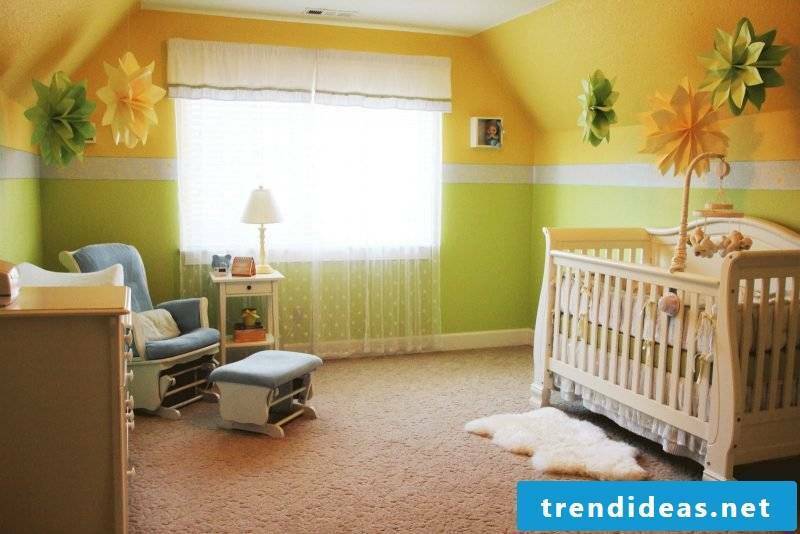 How do you want to design the baby room?